Newsletter Templates – DesiGN 2.0.1 – Creative Newsletters for Pages. Don’t spend your time making newsletters make the news! Newsletter Templates – GN is your ultimate assistant for creating captivating newsletters in mere minutes. Choose from a growing collection of professionally-crafted, customizable newsletter templates for any kind of news. 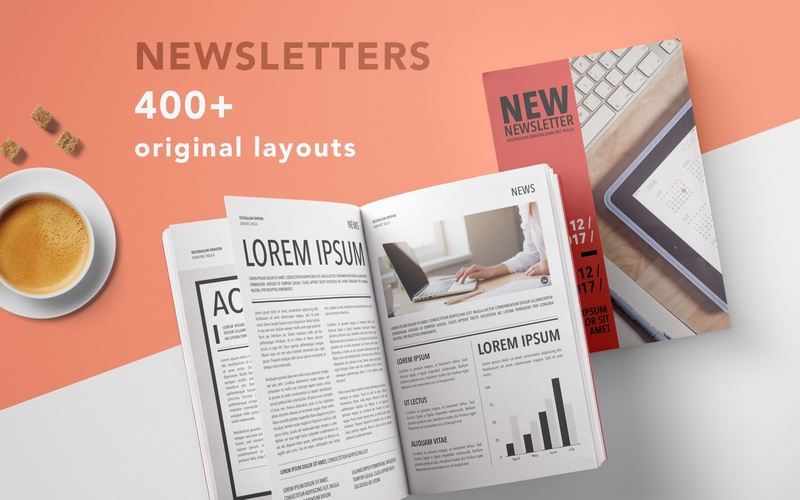 Newsletter Templates – GN features over 130 great templates in a variety of styles to match every taste and every occasion. All elements within the templates can be replaced, resized, recolored – every single template was built with easy customization in mind: your newsletter – your rules. We will be adding new templates constantly for all your newsletter needs! All templates are available in the US and International page formats. *Requires the latest version of Pages. The new version improves compatibility with a new version of macOS. macOS Mojave Dark Mode integration. macOS El Capitan compatibility bug fixes. Next story Quixel Mixer 2018.2.4 – Create photorealistic materials with powerful texture mixing. Previous story Robothorium 1.0 – Futuristic Turn-based RPG. Stat-Ease Design Expert 11.1.1.0 – Make breakthrough improvements to a product or process. Autodesk VRED Design 2018 – 3D visualization and virtual prototyping software. PageMeUp 1.2.1 – Ultra-simple layout HTML page editor for Web and print.